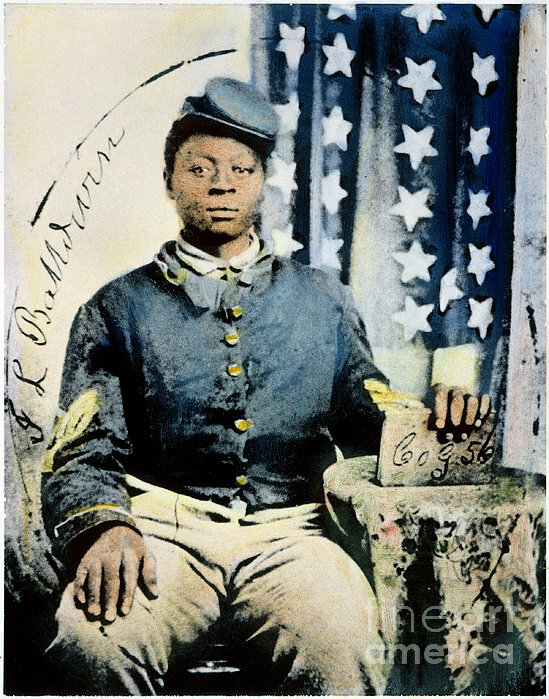 There are no comments for Civil War: Black Soldier. Click here to post the first comment. 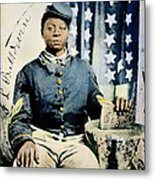 CIVIL WAR: BLACK SOLDIER. 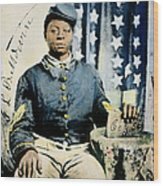 Studio portrait of Sgt. J.L. Baldwin of Company G, 56th U.S. 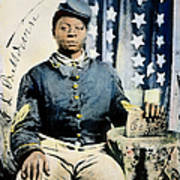 Colored Infantry, organized in August 1863. Oil over a photograph.